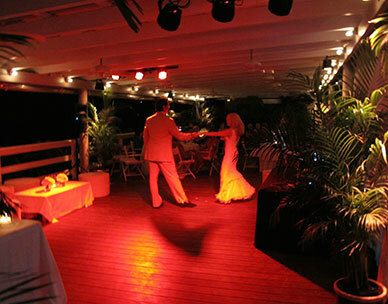 At Maya's Restaurant we have hosted weddings, birthdays, anniversaries and many other kinds of private parties. The restaurant can seat up to 120 people at a sit down dinner but our optimum size is between 80 and 90. We have decorated the room with curtains and beads, flowers and light projections. We have had fireworks and slide shows and movies and rock bands. Anything is possible. Let us know what the occasion is and we will help you design the decor and the menu. We love to have parties.